Born at Brockville, Ontario on 8 October 1859, son of John and Mary Anne Chaffey, he was educated at Bishop’s College School (Lennoxville, Quebec) and University College (Toronto). He came to Winnipeg in 1883 and commenced a practise of law three years later. 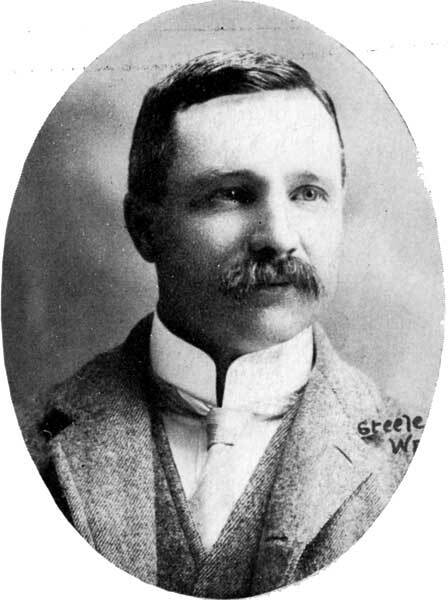 He served as a member of the Winnipeg City Council from 1894 to 1898 and again from 1902 to 1904. He stood as a Liberal candidate for the South Winnipeg constituency in the 1907 provincial election. In November 1914 he was appointed to the offices of Assistant Secretary-Treasurer and Librarian for the Law Society of Manitoba, succeeding W. A. Taylor. He retired from the position in 1945. On 23 September 1897, he married Gertrude Sanford Eastman (c1869-1914) of Winnipeg. They had four children: Harward Eastman Chaffey, John Richards Eastman Chaffey (1900-1976), Elswood Roscoe Eastman Chaffey (1903-1985), and Frances Eastman Chaffey (1904-1976, wife of Cranston Somerville Doupe). He was a member of the Manitoba Club and the St. Charles Country Club. 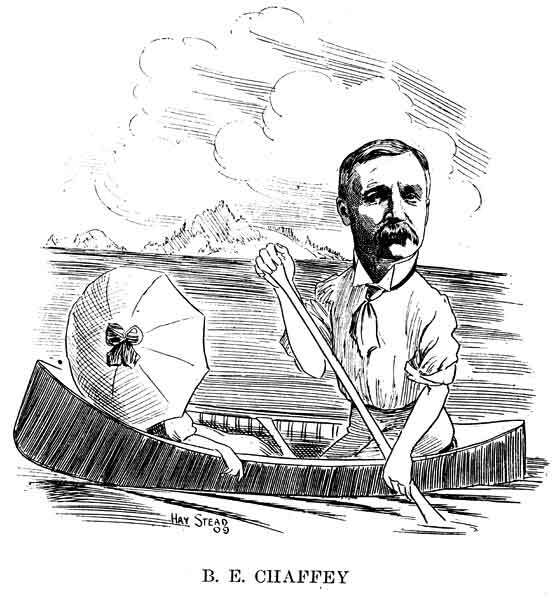 He was a keen boater and a member of the Winnipeg Rowing Club. In retirement, he continued to be an avid duck hunter, something he had done each fall since he was 15 years old. In 1947, at the age of 88, he survived the capsizing of his hunting canoe in Netley Marsh. Brother-in-law of H. A. Higginson. He moved to Montreal, Quebec in 1950, where he died on 25 January 1953. “B. E. Chaffey, pioneer city lawyer, dies,” Winnipeg Free Press, 26 January 1953. Obituary [Frances Eastman Doupe], Winnipeg Free Press, 2 October 1976, page 54. The Law Society of Manitoba, 1877-1977, edited by Cameron Harvey, Peguis Publishers Limited, 1977, pages 253-254. Obituary [Elswood Roscoe Eastman Chaffey], Winnipeg Free Press, 8 March 1985, page 30. We thank Bruce Varcoe and Darryl Toews for providing additional information used here.